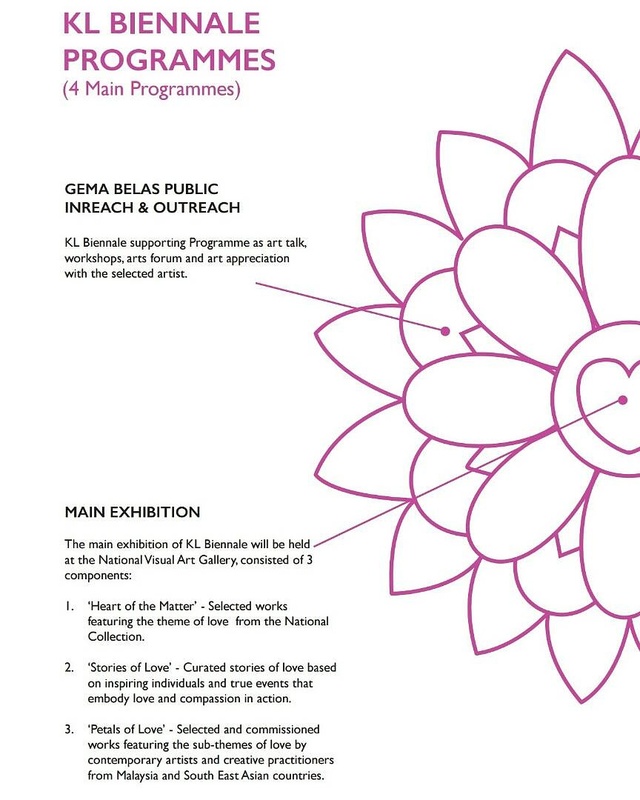 Biennale is a large-scale international contemporary art exhibition that serves as a benchmark for a nation’s culture. 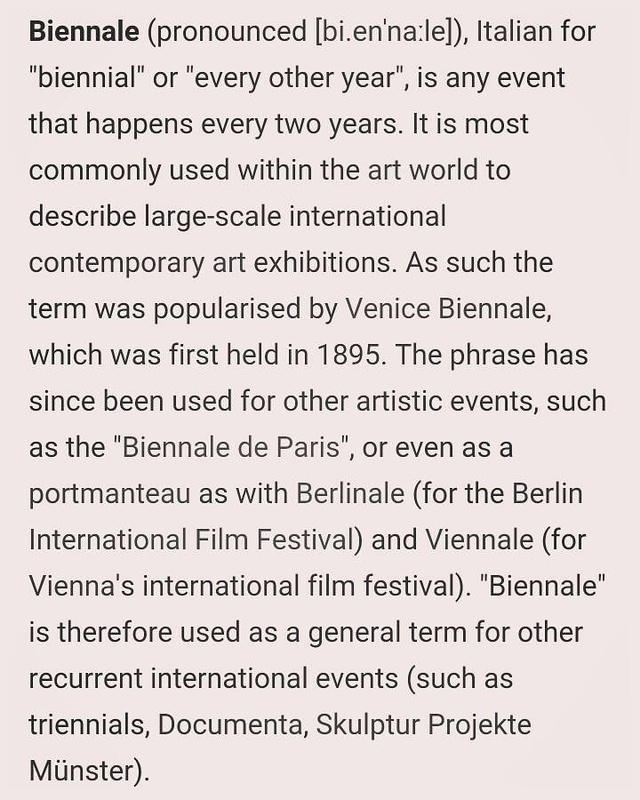 Biennale in Latin means any event that happens every two years. 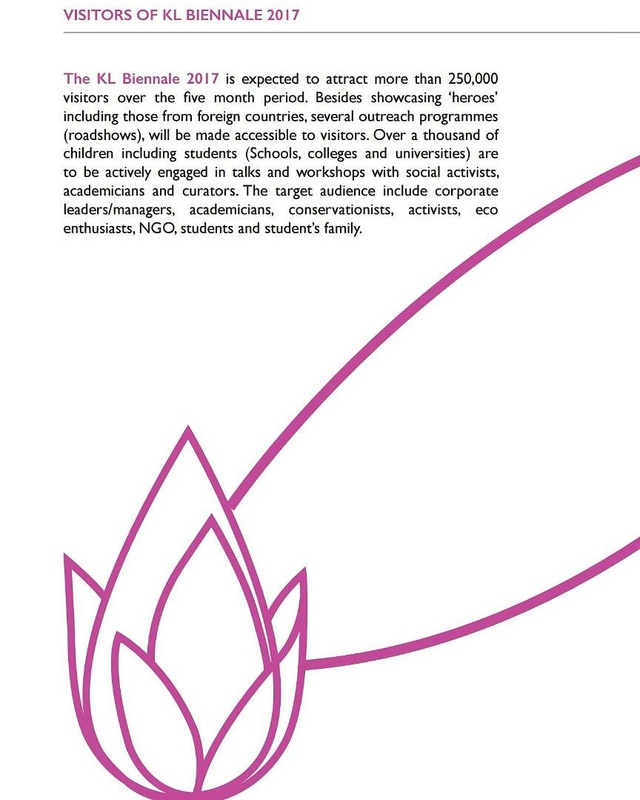 The term Biennale was popularised by Venice Biennale that was first held in 1895. 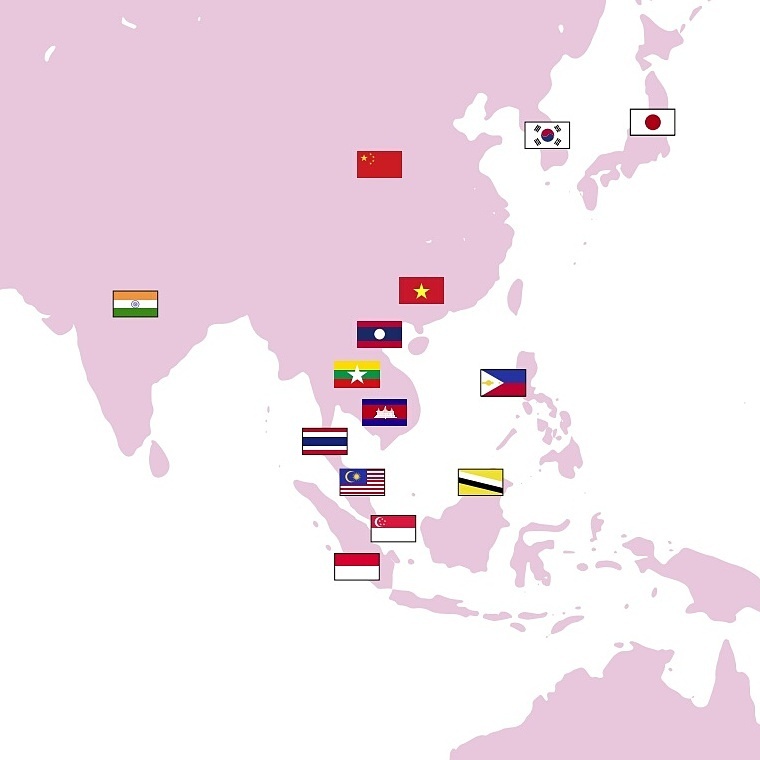 Some other biennales that are popular in the Asian region are held in Saudi Arabia, Turkey, Bangladesh, People's Republic of China (PRC), the Republic of Korea, Indonesia, India and Singapore. 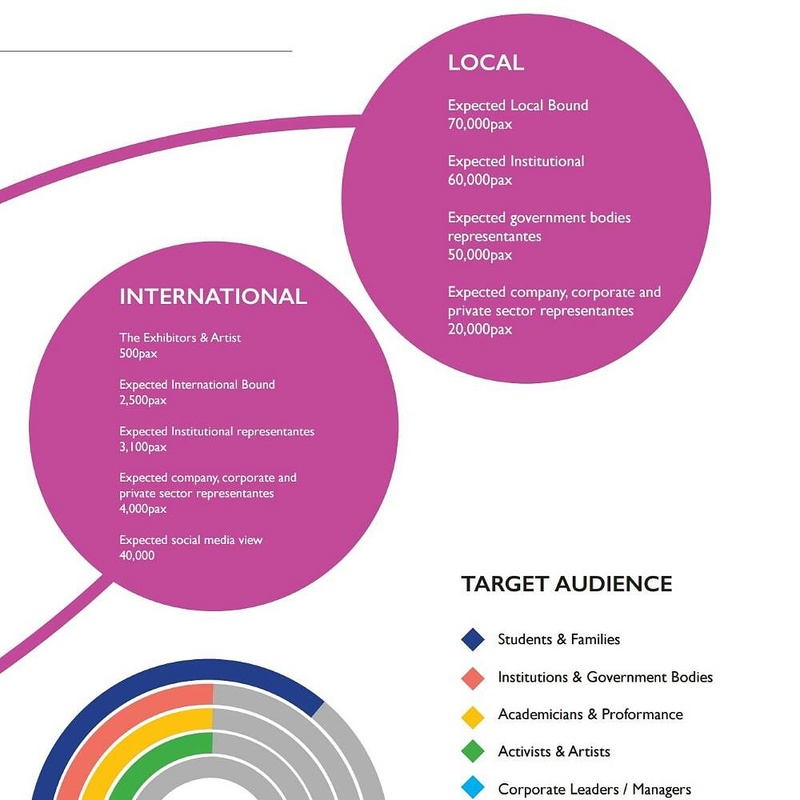 Some of the successful biennales such as Venice Art Biennale 2015 and Singapore Art Biennale 2013 have attracted a total of 500,000 and 560,000 visitors respectively. 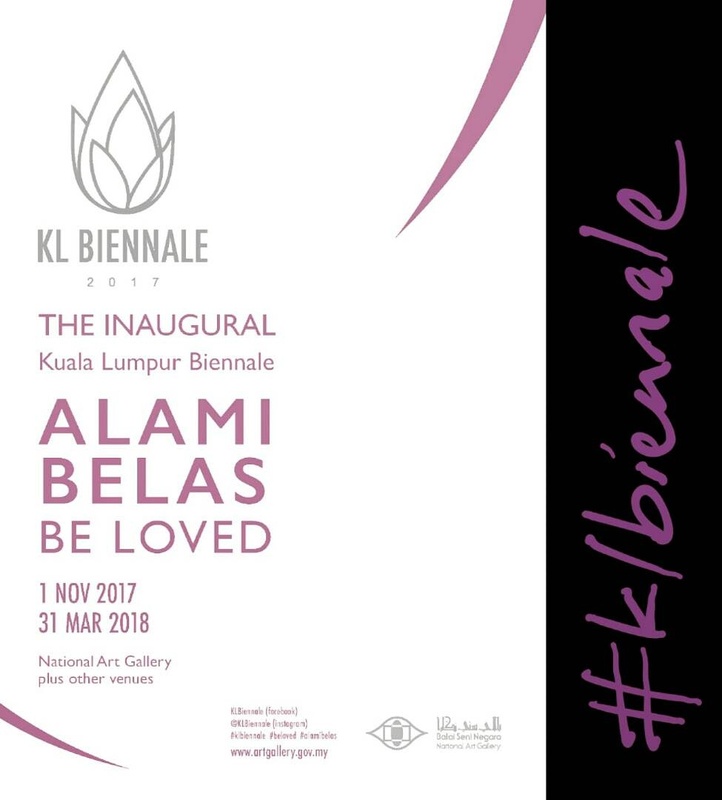 The theme for KL Biennale 2017 is Be Loved or Alami Belas. 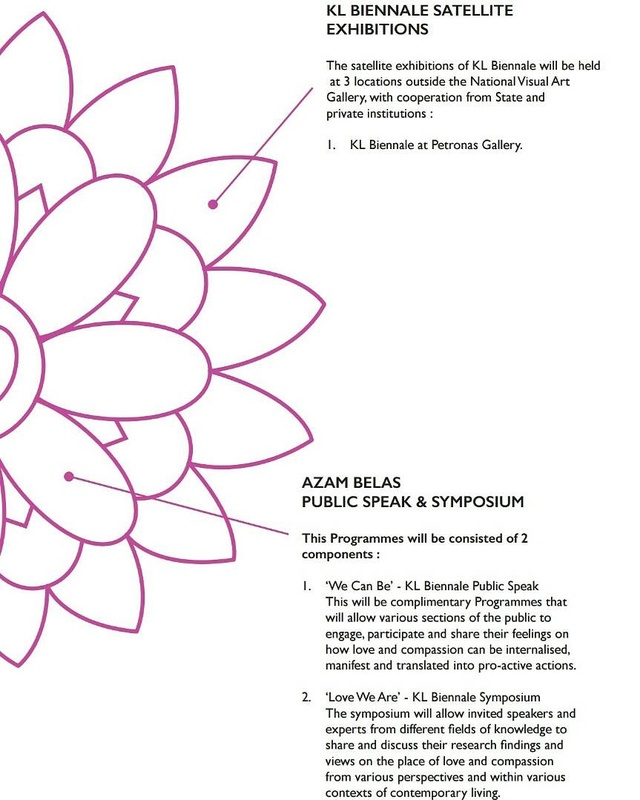 According to the Malay dictionary, Kamus Edisi Keempat (2015) published by Dewan Bahasa dan Pustaka (DBP), ‘Belas’ means sorrow, empathy and pity. Belas also means compassion or mercy. 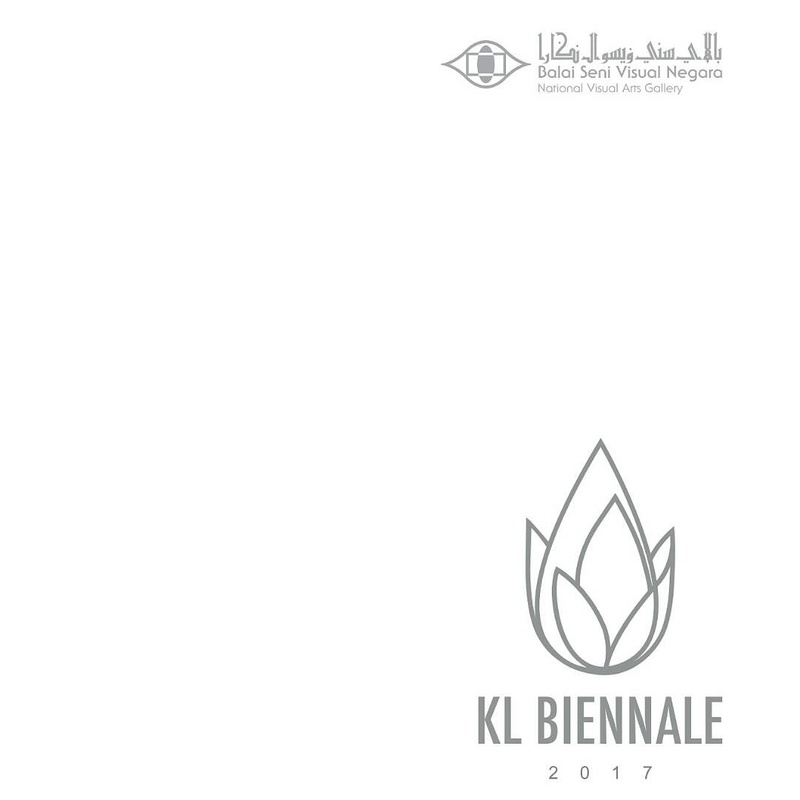 This theme is chosen to portray that KL Biennnale 2017 goes beyond the usual themes of the international biennales such as divergence, ethnic conflict, war and politic. This theme is also constructive and compassion in nature, instilling positive values such as compassion, sincerity, happiness, honesty, tolerance, mutual respect, solidarity, hope and sustainability. 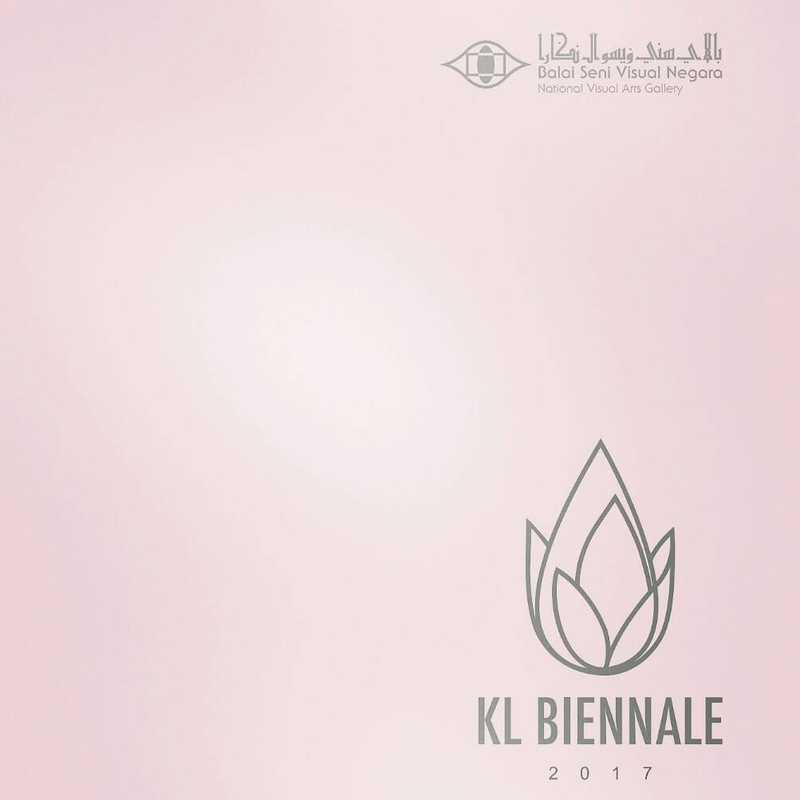 KL Biennale 2017 shall depict an effort of the civilized world in applying socio-cultural practices inspired by compassion and empathy in ensuring the well-being of mankind. 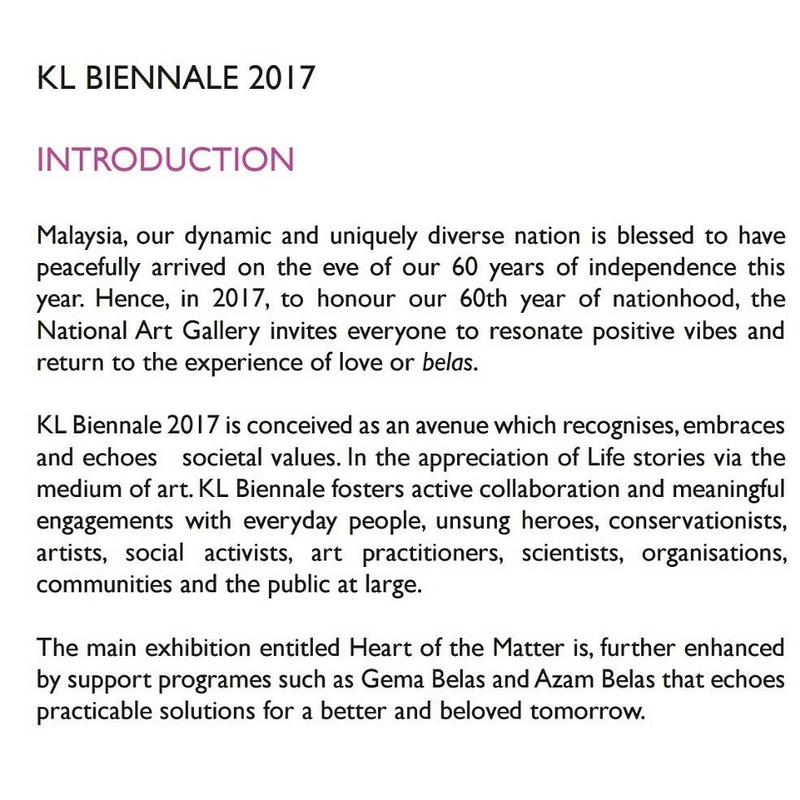 The theme of KL BIENNALE 2017 is categorized as 5 types of Belas or Love which are Love for Nature (Belas Alam), Love of Heritage (Belas Warisan), Love for Humanity (Belas Insan), Love for Animals (Belas Haiwan) and Love for Legendary Icons (Belasungkawa). The love for humanity focuses on disaster victims, the disabled, indigenous people, the poor in urban and rural areas, the elderly, orphans, homeless children, single mothers and the victims of abuse. The love for nature focuses on the nature, endangered habitat, natural environment, flora and fauna to ensure a balance between sociology development and nature preservation. Love For Animals is a special dedication for abused animals and animals going to extinct. The focus is on the endangered species due to habitat destruction caused by human. 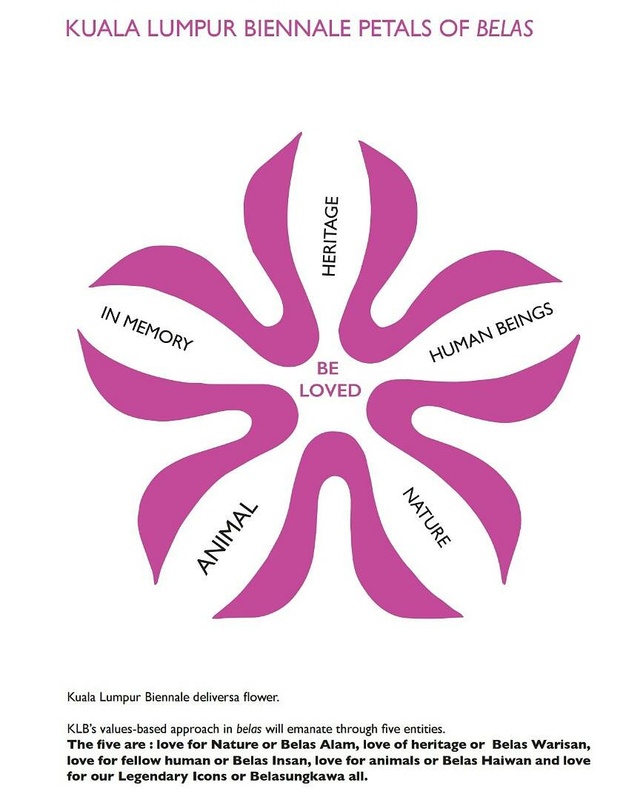 Love for heritage can be divided into tangible heritage such as architecture and nature such as flora and fauna as well as intangible heritage such as performance arts, visual arts, religious ritual, music and songs that are an added value for the tourists. The Love for our legendary icons is evaluated through the legacy of culture and arts. This activity will be focusing on the contributions toward societal development, animal, heritage and environmental conservation. 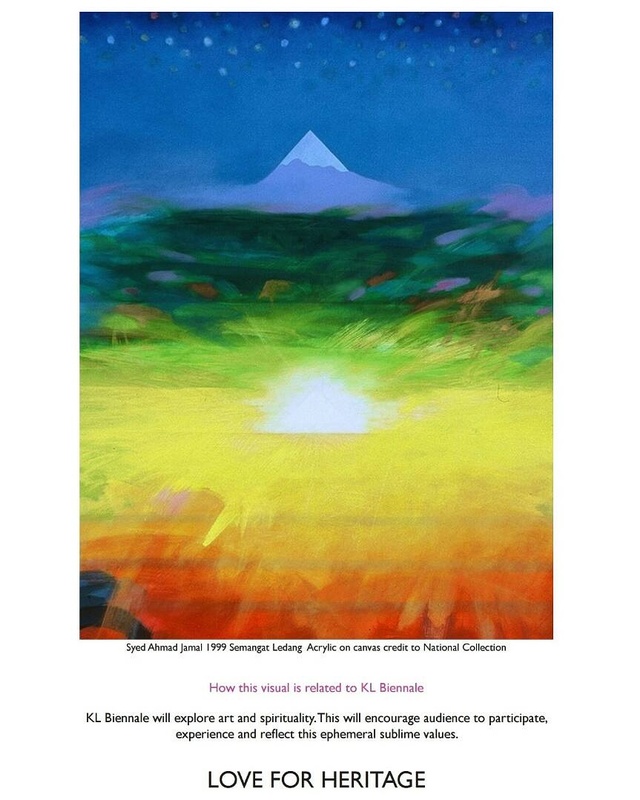 The spiritual theme will showcase artworks that are spiritual.